The Valley Center-Pauma Valley area is home to a growing number of boutique wineries – nearly one dozen at last count, with more on the way. They join a larger group of about 50 wineries in San Diego County, some of which have been growing grapes and producing wine for more than a century. However, there has been a cloud over who could claim the title of starting the region’s first commercial winery, but the title appears to have been won by an early wine maker in Valley Center. 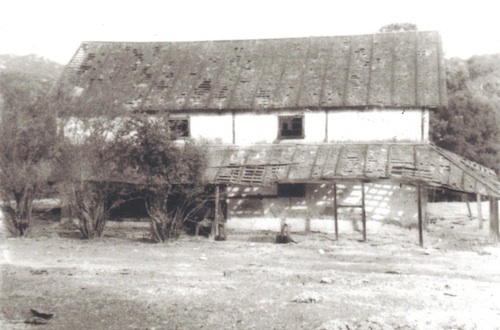 For years, it was thought that Francisco Maria Alvarado, owner of Rancho Los Penasquitos, might have been first. However, the author of a forthcoming revised edition of “History of the Wineries of San Diego County”, told the Valley Center Historical Society that Penasquitos apparently was non-commercial, and that its wine was produced for family and friends and occasional bartering. The first commercial winery, therefore, appears to have been the Vineyard Winery, established by Col. A.E. Maxcy who came to the Bear Valley area of Valley Center in 1850. By 1852, he planted 1,500 acres in Muscat and Mission grapes, yielding 8-10 tons per acre. Before the turn of the century, he had become a leading producer of wine in Southern California. The U.S. census of 1870 shows Maxcy on the tax roll with $50,000 in property, making him an extremely wealthy man for the time. A well-known talented winemaker of the day, Pierre Hagata, often worked with Maxcy and was seen frequently hauling grapes from Vineyard to Escondido. The labor of planting, pruning, harvesting, crushing and pressing of the wine was generally done by Indians from nearby reservations. For the record, the county’s wine roots extend into the early 1800’s when California’s first Mission, at San Diego, was making wine. That product, however, was restricted to missions and pueblos, and was not available commercially.